05 AprIndustry 4.0 – How does it benefit the SMEs? 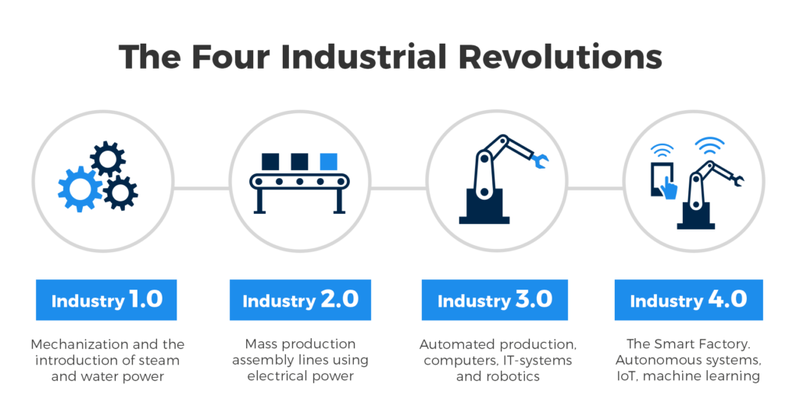 Before we talk about what is Industry 4.0, let us first briefly understand the history of industrial revolution. The very first industrial revolution happened between the late 1700s and early 1800s, where people work with steam and water power, instead of manual labour and using animals previously. Subsequently, the second industrial revolution happened in the early part of the 20th century. During this period of time, electricity was introducedand factory production’s efficiency was increased using electrical power. Mass production assembly lines were also introduced. Then, the third revolution began to emerge starting in the late 1950s. In this revolution, factories began using digital technologies in their production. Finally, in the recent few decades, a fourth industrial revolution, Industry 4.0, has emerged. Generally, Industry 4.0 refers to the combination of the traditional manufacturing industrial practices and the new advancing technologies. It focuses on improving the current digital technology with the help of interconnectivity, through the Internet of Things (IoT)*, access to real-time data, and of cyber-physical systems*. The combination of cyber-physical systems, the Internet of Things and the Internet of Systems allows Industry 4.0 to happen. * Internet of Things is a concept that refers to the connections between physical objects and the internet. For example, machines and the cloud. * Cyber-physical systems,sometimes known as cyber manufacturing, refers to an manufacturing environment that applies real-time data collection, analysis, and transparency across all different aspects of a manufacturing process. To explain it in a simpler way, in Industry 4.0, computers are connected and related to each other, data are uploaded on the cloud environment, and the computers communicate within themselves to make smart decisions without any human involvement. The computers are also connected to the machines, which allows them to collect real-time data from the machines. 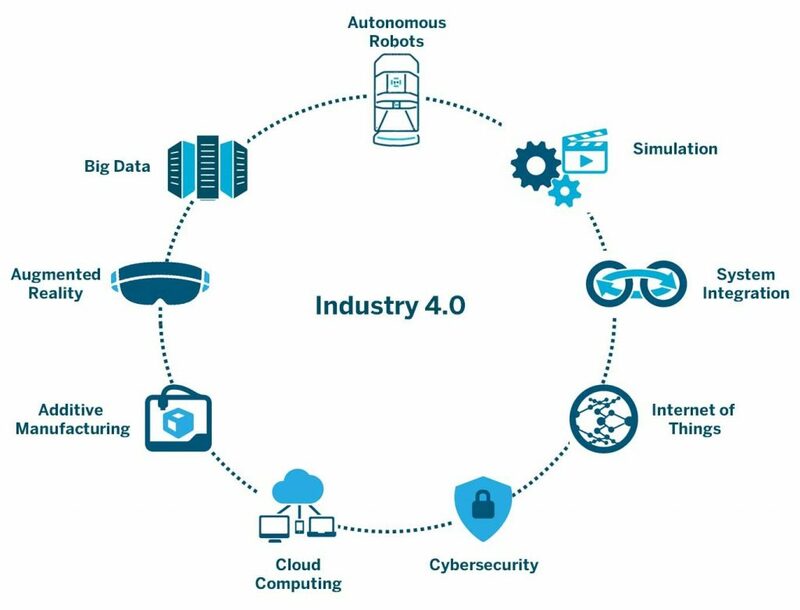 There are nine technology trends that forms the building blocks of Industry 4.0. Read more about them here. 1. Supply chain and logistics management. In supply chains and logistics, when new information is presented, the supply chain can adjust by itself and accommodate. For example, when there is a bad weather that causes a delay to the shipment of goods, the system can adjust and make changes to the manufacturing process. Since the machines are interconnected, they collect information and data, and predicts any potential problems that might arise or requires attention. Manufacturers would be more well-prepared for the potential problems and can solve them quickly and efficiently. Data can be all stored in a cloud environment and can be shared. By sharing, equipment and operations can be modified with references to the insights of others using the same equipment. Smaller enterprises would also be able to gain access to technologies that they wouldn’t be able to on their own. Having IoT in a factory also helps companies gain better control and understand every aspect of their operation, as they would get a better visibility of their assets. Thus, it would be easier for asset management. Industry 4.0 does not only affect the manufacturing industry alone, it affects other parts of the economy too, such as supply chain, logistics and more. Thus, it brings a great impact and change to the economy. According to the World Economic Forum (WEF), Singapore is among the 25 countries that are best positioned to benefit from the rise of advanced manufacturing and smart factories. Also, 21.4% of Singapore’s 2018 Nominal GDP comes from the manufacturing sector, which is the sector that Industry 4.0 affects the most. Thus, it is essential for local SMEs to take into consideration the Industry 4.0 model and the benefits to it. Singapore’s economy is powered by 99% SMEs, in which, most of them are striving to expand and grow. This creates a very competitive environment for the SMEs, regardless of their industries. Adopting the Industry 4.0 allows SMEs to be more competent in the competitive environment. By investing in the Industry 4.0 models and technologies, the company will attract a lot more young and capable employees as they would be fonder of new and modern technologies. The new and modern technologies also allow the company to retain its employees and grow together with them, this solves the problem of lack of manpower or talents in the company. The machines and the manufacturing process would be automated and streamlined. The systems, by itself, can predict or calculate when potential problems are likely to arise or if any machines need to be fixed. Thus, allowing any potential issues to be resolved before they become serious problems. This increases the productivity of the company. Furthermore, it reduces errors that may cause additional operational costs in the manufacturing process. With this, non-value-added data manipulation can be reduced and in turn allowing employees to focus on much more value-added tasks. By implementing the Industry 4.0 technologies, the company would be able to better meet their customer’s requirements as the manufacturing process will be optimised. They would also gain the attention of new international businesses as by adopting Industry 4.0 model, it would show that the company is innovative and very adaptive to the trends and changes. With the industry 4.0 model, clients would also gain more trust in the company as all the data and the operation processes would be rather transparent as they would be shared on the cloud where the clients can view it too. With enhanced productivity, trust in customers and increased number of global customers, the company will be one step closer to expansion and venturing into bigger markets. Adopting Industry 4.0 brings an abundance of benefits, but one of the drawbacks is that it is rather costly. 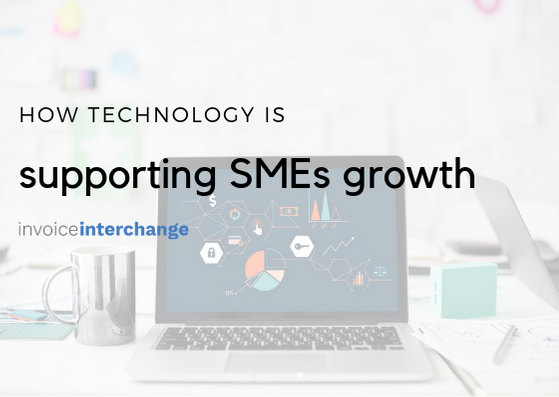 Companies, especially SMEs who are not so funded, would require support in their finances in order to implement and carry out such a complicated transition and costly upgrade. In order to seize expansion opportunities that come with the Industry 4.0 transformation, companies would want to gain capital. One of the many ways to increase capital is to improve the cash flow flexibility of the company. Invoice factoring is a good way to improve the cash flow flexibility of the company as it unlocks the tied-up cash in accounts receivables.